We made it easy to customize your Kill Switch settings based on your security preferences. Kill Switch will function when you are logged in to VyprVPN and have the application running. 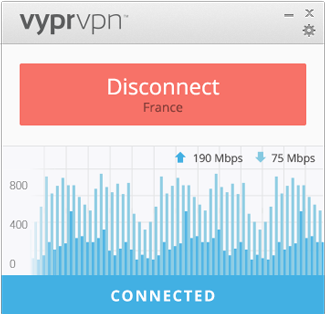 If VyprVPN is disconnected, Kill Switch will automatically block your Internet connection. Kill Switch will function when you are logged in to VyprVPN, even if the VyprVPN application is not running. You will not be able to access the Internet until you connect to VyprVPN. If you log out of VyprVPN, Kill Switch will not function on the App or System level. Configure Kill Switch to allow or block LAN traffic. Many VPN kill switch solutions are difficult to use, or simply do not work. 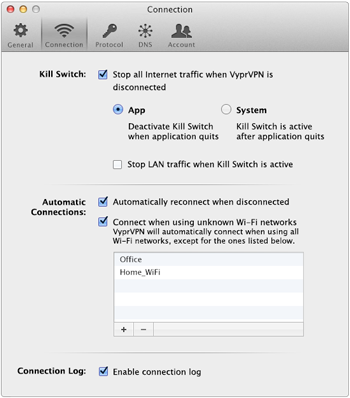 We worked hard to ensure Kill Switch in VyprVPN for Windows and Mac is both powerful and easy-to-use. We are proud to offer the most intuitive Kill Switch feature of any VPN app. 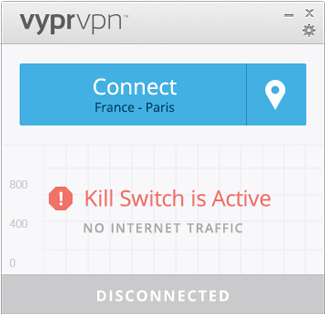 Download VyprVPN for Windows and Mac and start using Kill Switch today.